Made from established formulas, HANNA Calibration Solutions are standardized against NIST reference solutions. Before taking any measurement make sure your meter has been correctly calibrated. Available in 20 ml packets that are always fresh and easy-to-use. 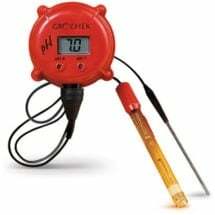 Step 1: Set the instrument into calibration mode either by pressing the CAL button or pressing and holding down the ON/OFF button until CAL appears on the LCD screen. 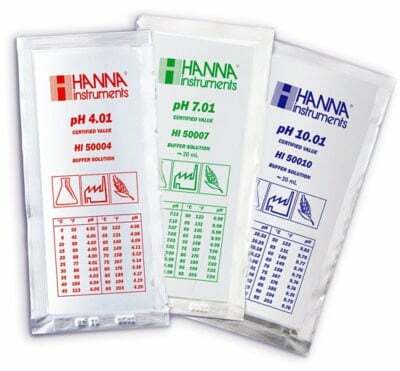 Step 2: ALL HANNA meters will need to be calibrated to pH 7 buffer first. 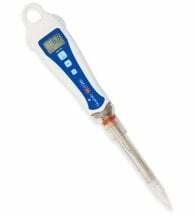 Place the electrode into the solution so that the bottom inch of the electrode is submersed. While the meter is waiting for the reading to stabilize a clock symbol or hour glass symbol will flash. 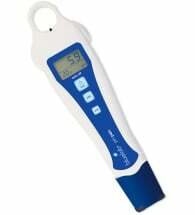 Once the meter has reached a stable reading it will automatically calibrate itself. Step 3: Rinse the electrode under tap water (or deionized water) and then place the electrode into the Buffer 4 solution. 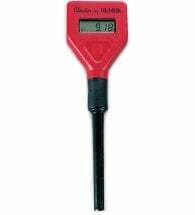 Once the meter has reached a stable reading it will automatically calibrate itself.